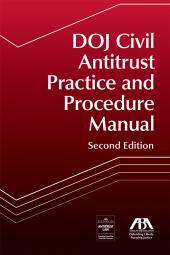 This two-volume manual is acknowledged to be the essential reference in the field of securities arbitration. 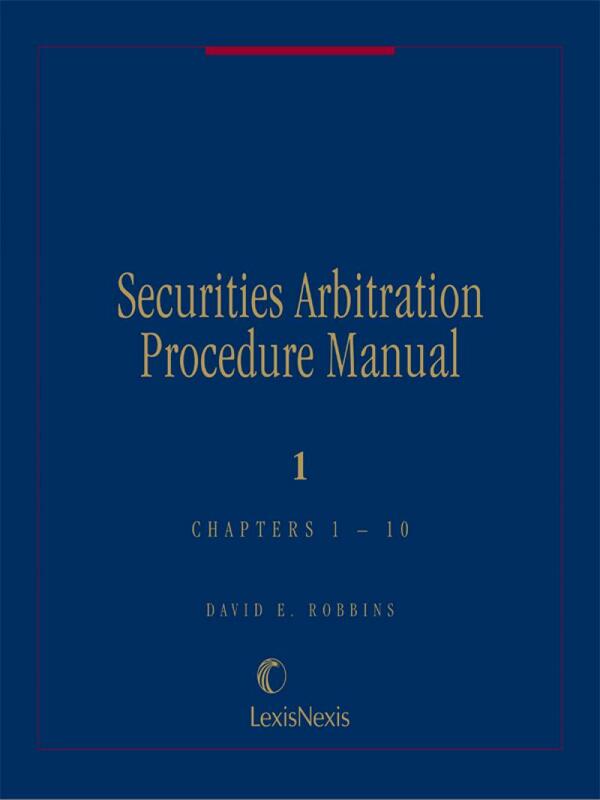 Securities Arbitration Procedure Manual, now in a completely updated 28th year release, is a two-volume manual that is widely acknowledged as the essential reference in the field of securities arbitration. It systematically describes the issues that arise in a customer-broker or broker-brokerage firm dispute, how to evaluate the merits of a case (from both sides of the dispute), and how to prepare and present cases to arbitration panels anywhere in the country. In the 28th year of publication, practitioner David E. Robbins updates his work to reflect current developments, such as: cases that win and cases that lose, what to ask for in discovery, how to select arbitrators, what arbitrators want to see in claims and answers, how to prepare your client to testify and how to cross examine opposing witnesses in an arbitration setting. 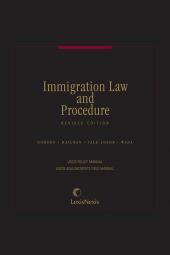 There is also an updated chapter on how to successfully mediate your case and a complete revision of the lengthy appendix. At the heart of securities cases is the establishment of a trust relationship between a broker and a client and the alleged breach of that trust, whether through negligence, recklessness, or fraud. Most customer cases of merit involve a broker's failure to appreciate the inherent risks of a recommended security or strategy. Most cases that lack merit are those in which customers do not take responsibility for their investment decisions or the losses were due solely to market conditions. In securities arbitrations, both sides must meet burdens of proof. Getting arbitrators to empathize with your clients—whether they are customers, brokers, or brokerage firms—is your primary aim. This book provides you with the tools to accomplish that goal and examines arguments that your adversaries are likely to make. 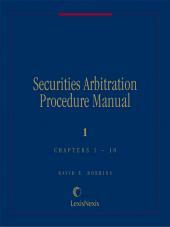 The observations and opinions in this book are based on Mr. Robbins' experiences as a former Special Deputy Attorney General in the Securities Bureau of the New York Department of Law; as a former American Stock Exchange Arbitration Director; as an arbitrator and mediator; as an attorney to customers, brokers and firms in arbitrations and mediations; as a former member of FINRA's National Arbitration and Mediation Committee; as a member of the Board of Editors of Securities Arbitration Commentator and the PIABA Law Journal; as a Practice Commentator to McKinney’s Consolidated Laws of New York (Article 23-A General Business Law); as former chair of over 20 Practising Law Institute (PLI) programs on securities arbitration and mediation; and, as the co-chair of New York Bar Association programs on securities arbitration and mediation. A deliberate effort has been made throughout this book to present countervailing viewpoints, opinions and approaches on the many areas covered. In all instances where the author's opinion is given, it is done to improve the process for all participants. Mr. Robbins is a partner in the New York City law firm of Kaufmann Gildin & Robbins LLP (www.securitieslosses.com) and specializes in commercial arbitration and mediation. He represents investors, brokers and firms in disputes and brokers and firms before regulatory agencies. He is also an expert witness in malpractice and billing cases arising out of securities arbitrations. He and his firm have been responsible for the return of tens of millions of dollars to investors and have represented many brokers accused of wrongdoing in arbitrations and regulatory matters. Mr. Robbins served as Special Deputy Attorney General of New York State, responsible for the civil and criminal prosecution of securities fraud cases and was the American Stock Exchange Director of Compliance and Director of the Legal and Regulatory Policy Division, where his was Director of Arbitration and Director of Disciplinary Hearings. He has the highest Peer Review Rating (AV) from Martindale-Hubbell and in 2016 was approved as a "Super Lawyer." In 2018, Securities Arbitration Commentator wrote: "We've heard David E. Robbins called 'the Dean of Securities Arbitration' and there is ample reason why." Mr. Robbins is the author of Securities Arbitration Procedure Manual (Dec. 2017 Matthew Bender, a division of Lexis Publishing), the primary text in this area of the law for almost 30 years. This two-volume hardcover and electronic book presents pragmatic, balanced guides to the practice of securities arbitration and mediation for attorneys representing investors, brokers and firms. 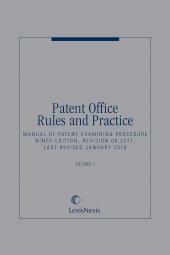 He updates the book annually with new cases and revised sections. He regularly lectures at law schools that use the book in their courses. Since 1995, Mr. Robbins has written the annual Practice Commentary to McKinney's Consolidated Laws of New York, Article 23-A of the General Business Law - on securities arbitration and mediation for New York attorneys. The latest editions of his book and of his McKinney's Commentary were published in December 2017. Approximately 60 of his articles on securities law have been published. Mr. Robbins served as the Chairperson for more than 20 Practising Law Institute (PLI) continuing education programs on securities arbitration and mediation. He is the recipient of the Public Investors Arbitration Bar Association (PIABA) lifetime achievement Golden Bow Tie Award and was a member of FINRA Dispute Resolution's National Arbitration and Mediation Committee, where he chaired the Neutral Roster Subcommittee. He is a member of the New York City Bar Association, PIABA, The PIABA Foundation (for investor education), the Compliance and Legal Division of the Securities Industry and Financial Markets Association (SIFMA) and the Board of Editors of Securities Arbitration Commentator and The PIABA Bar Journal. The American Arbitration Association published his updated chapter: "Calling All Arbitrators: Reclaim Control of the Arbitration Process – The Courts Let You" for its Handbook on Arbitration Practice. Mr. Robbins is the co-chair of the New York State Bar Association program on securities arbitration, which will next take place in November 2018.